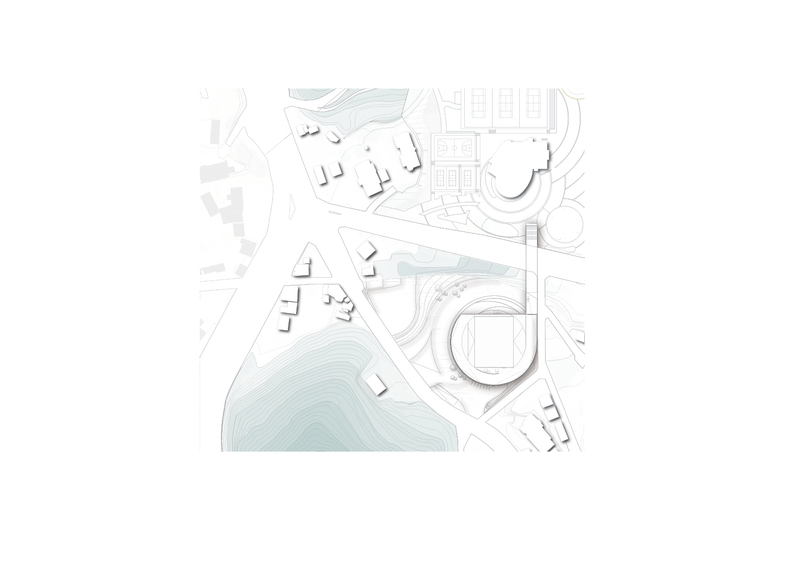 The new building uses the natural topography of the site to create a connection to the neighbouring sports complex now detached and isolated due to the existing road. 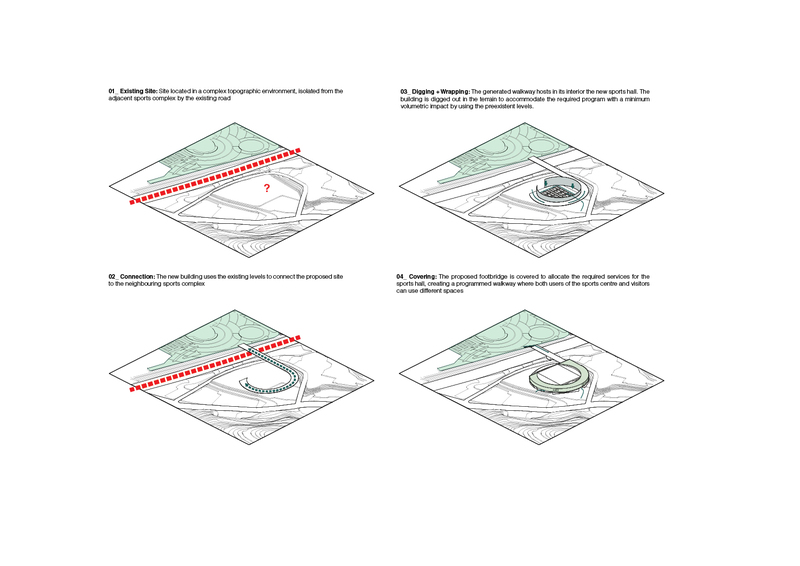 To create this link a pedestrian walkway is proposed, bridging the levels difference between both sites as well as within the boundary line. 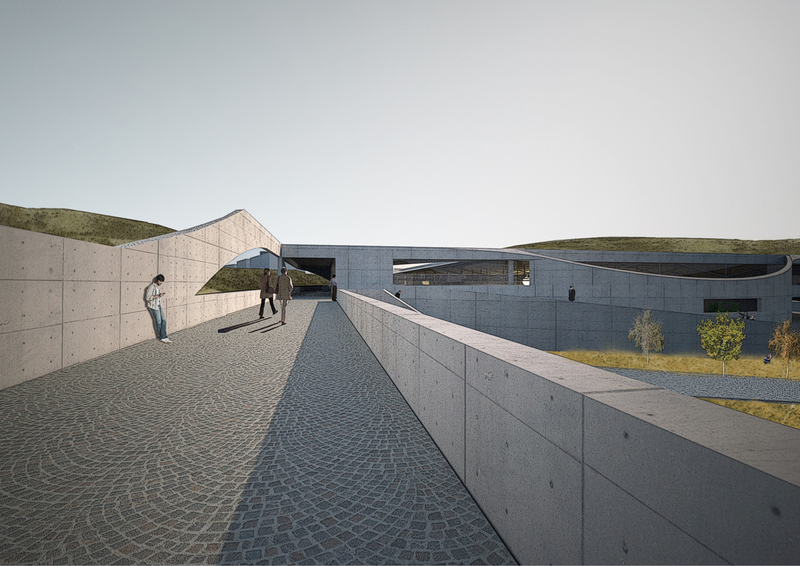 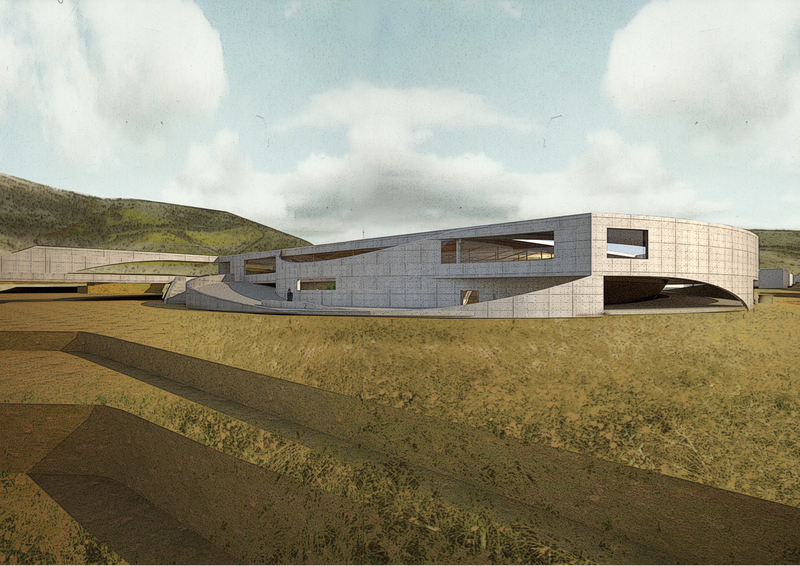 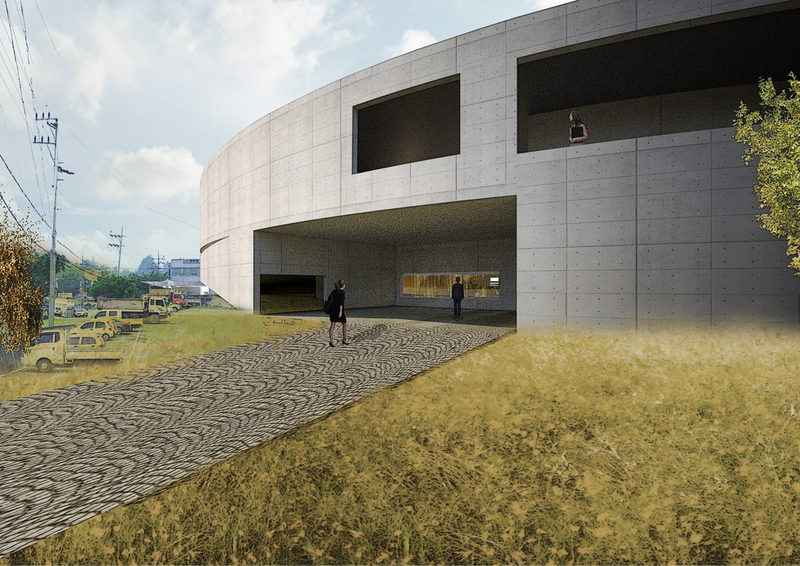 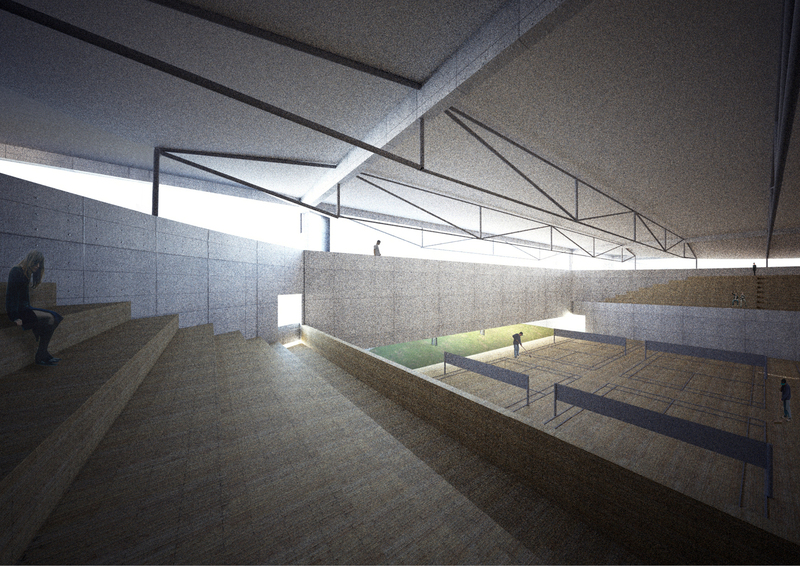 The space generated by this sloped footbridge is covered to allocate the sports hall, partially buried in the terrain to accommodate the required program with a minimum volumetric impact. 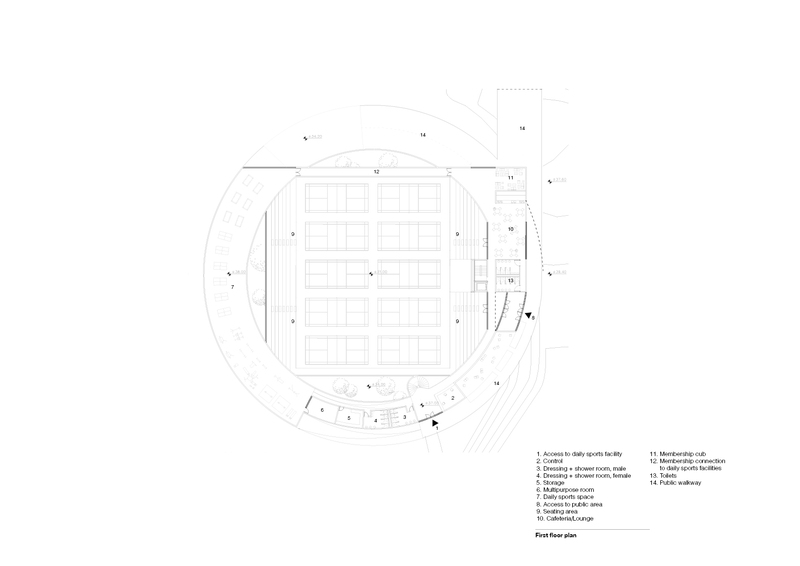 To provide an adequate environment when using the multipurpose gym the main volume is treated to control natural light, by having enough daylight but not direct illumination. 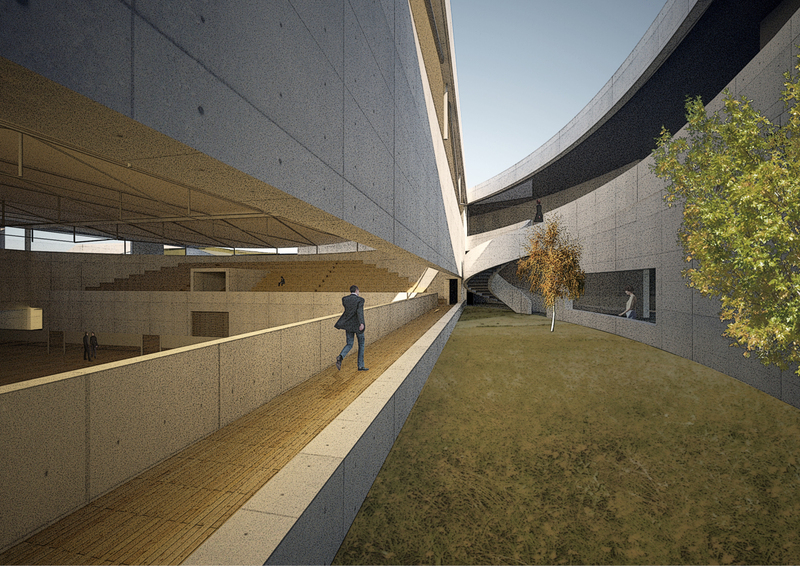 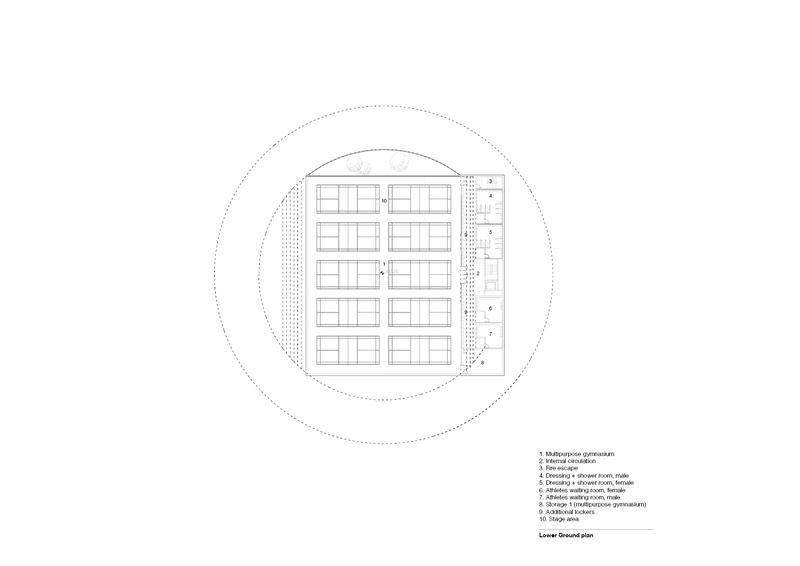 To achieve this the building uses the interstitial space left between the external ramp and the rectangular interior courts area to intro­duce roof lights along its perimeter. 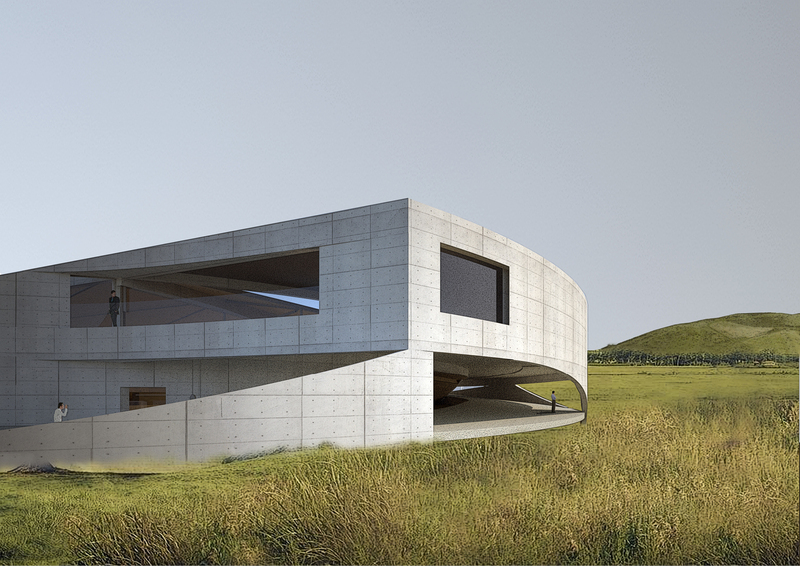 The visual relation with the exterior is as well an important input to consider in the design. 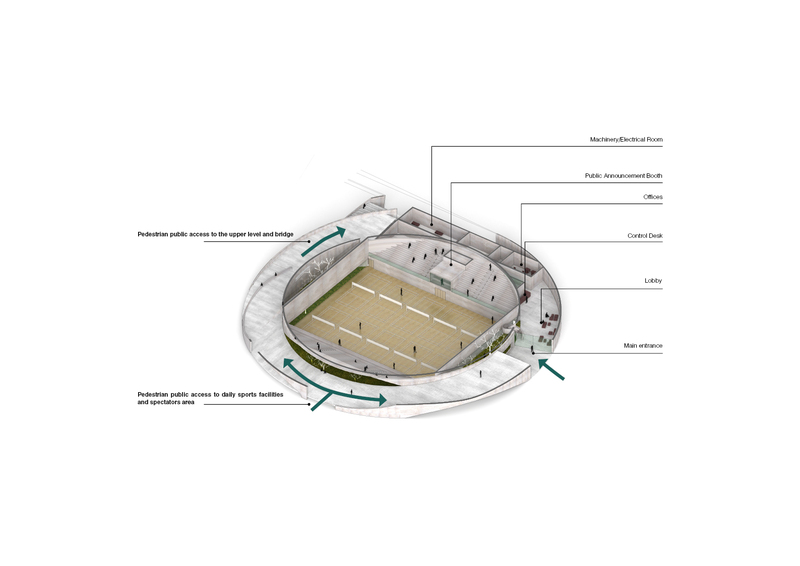 To avoid any distraction or interferences during the sport practice the amount of opening has been limited and the ones proposed are mainly located towards the patios. 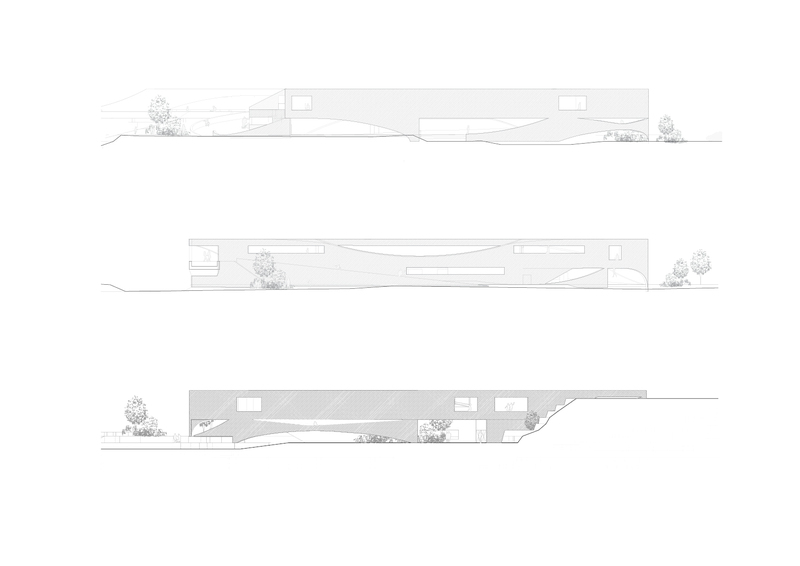 Although these spaces are roof open and public accessible its intimate character provides light and views while avoiding any distraction such vehicular and pedestrian traffic, lights,…. 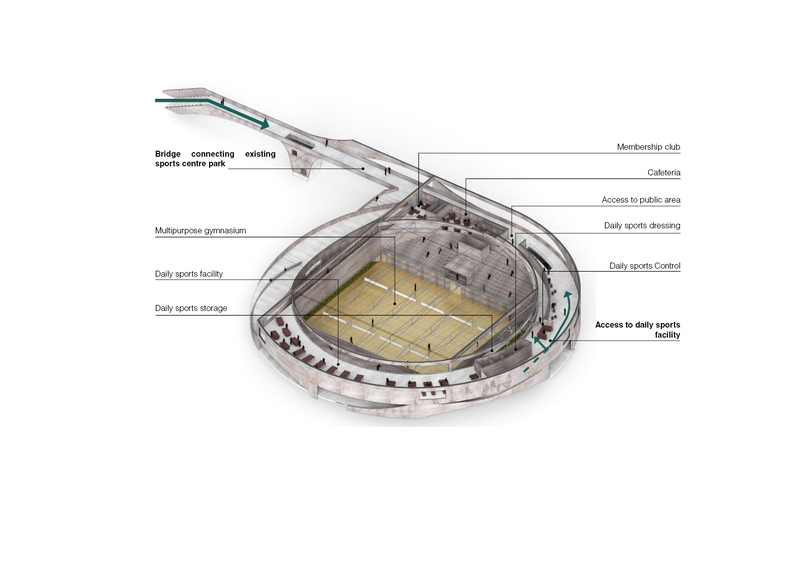 The exterior ramp is treated as a public route joining both sides of the road while giving access to the sports hall at different levels and hosting all the services required by the facility. 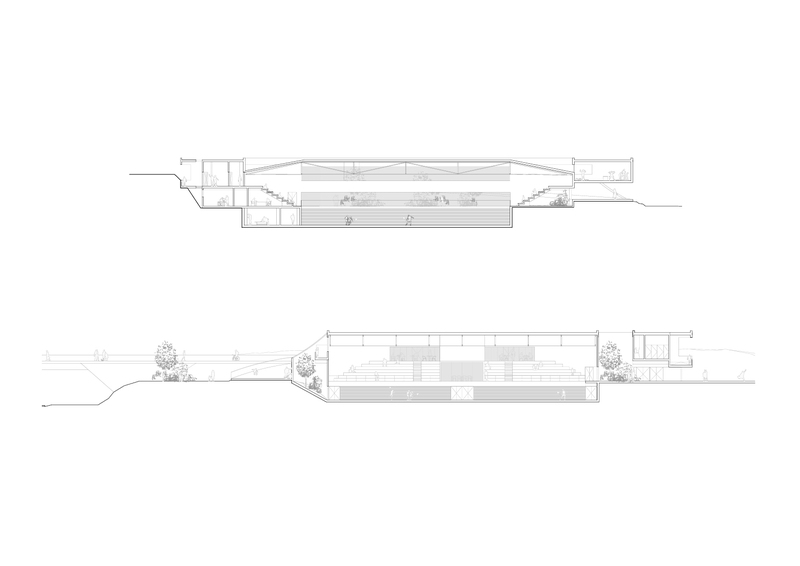 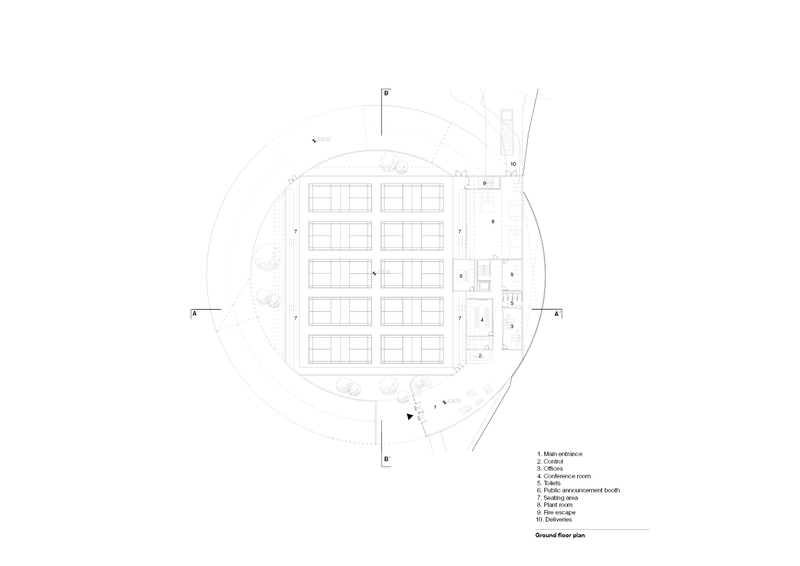 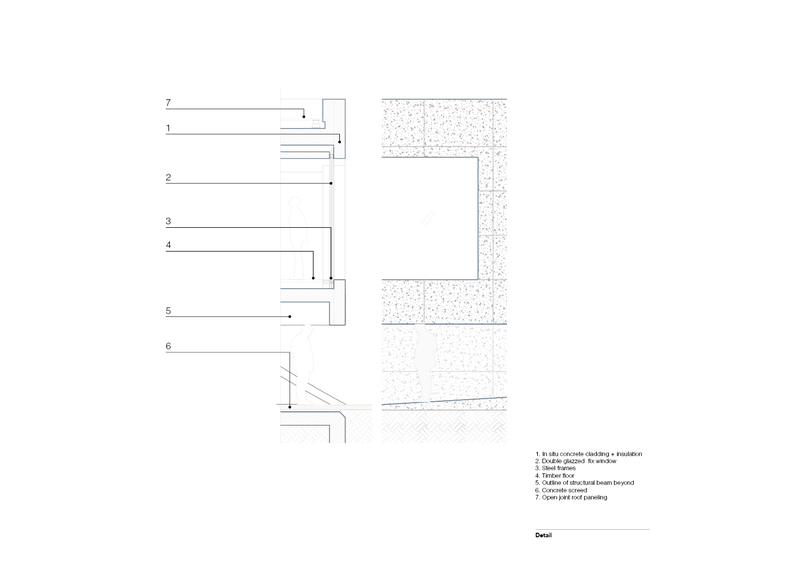 The resulting path around the building remains always public and accessible along a variable section creating an interstitial space where both users of the pavilion, spectators and citizens interact.